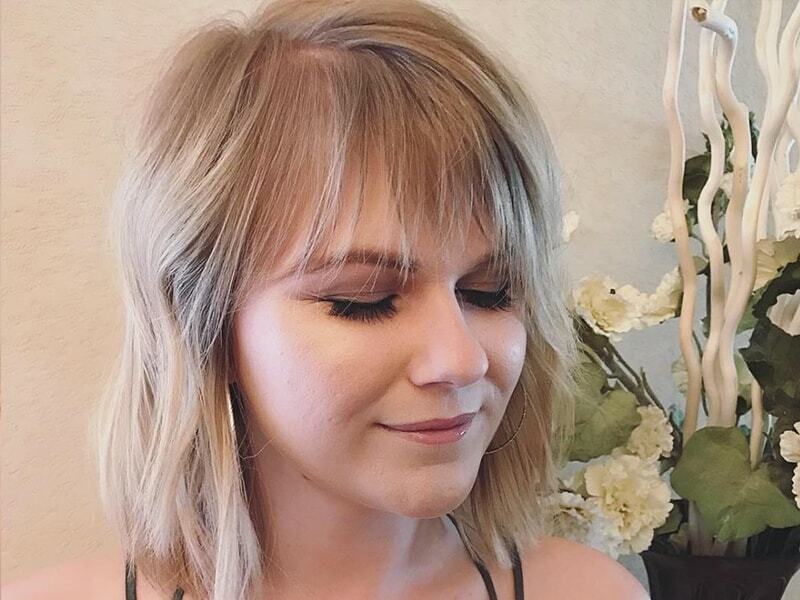 Good news: an oval face is the most flexible face shape that can work well with almost every type of short hair, from super short to chin or shoulder length. The most important thing is to know your face’s angles and features that make your hairdo stand out. 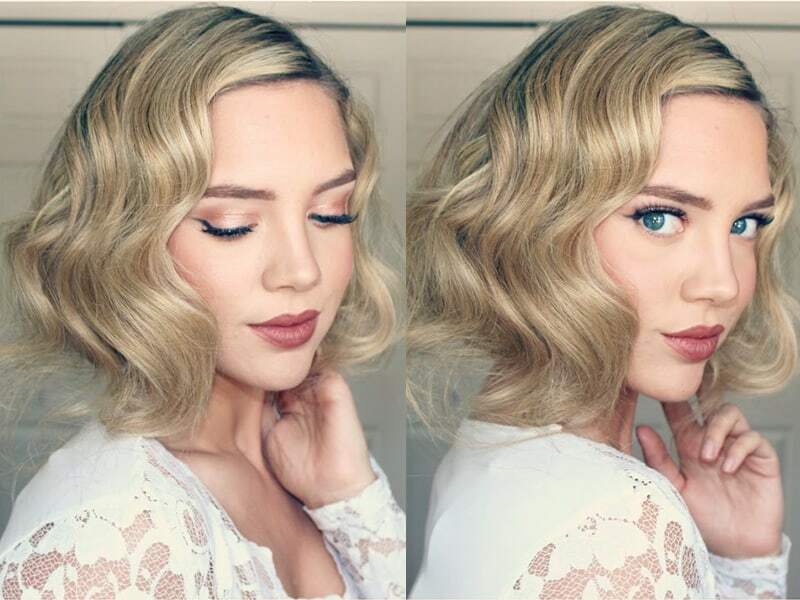 If you are seeking best hairstyles for oval faces 2019, this comprehensive guide is your new best friend! How do I know I have an oval face? 1 How do I know I have an oval face? If you notice the distance from your forehead to the chin is longer than your face’s width, it’s undoubtedly you have owned oval face shape. You also see your jawline becomes softer and gently rounded. Since this face shape is not famous for its outstanding angles or features, suitable hairdo for oval faces is of great help in elevating your look. 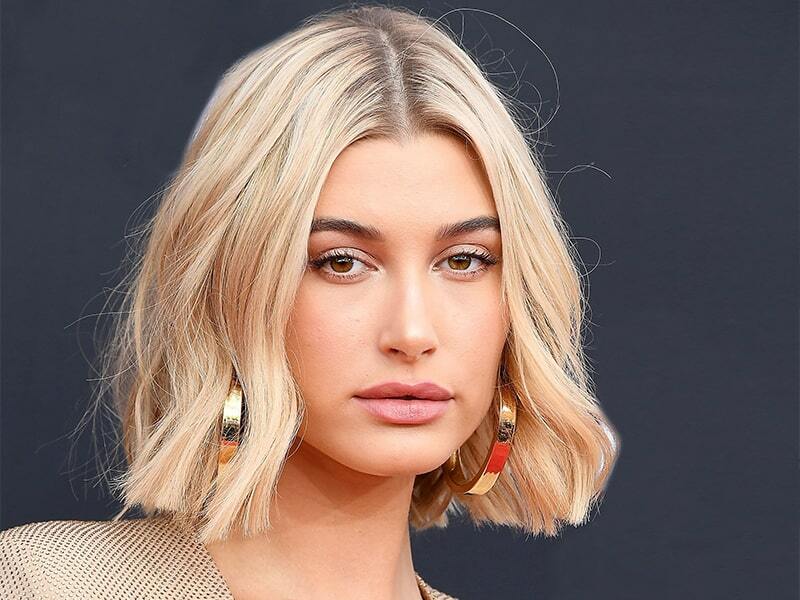 Let me name you some celebrities with oval faces that always look gorgeous wherever they go – Jessica Alba, Bella Hadid, and Beyonce. Don’t ever feel bad owning an oval face, ladies! This face shape is the perfect match for different hairstyles because it’s well-balanced and prominent. So feel free to be creative and bold with it! An oval face makes a long-lasting impression on the onlookers because of its harmonious balance between the width and the length. It also creates an overall smooth and rounded shape with no main edges. 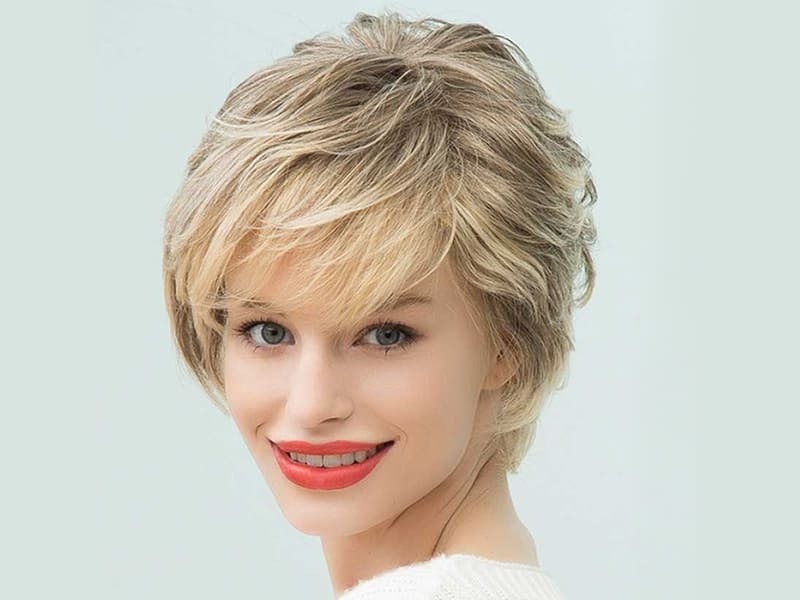 All of these unique features allow girls to have a wide range of short hairdo for oval faces. They can go for a fashionable hairstyle without worrying about the risk whether it matches their appearance or not. Because, as I’ve said earlier, oval faces have an excellent sense of aesthetic balance. 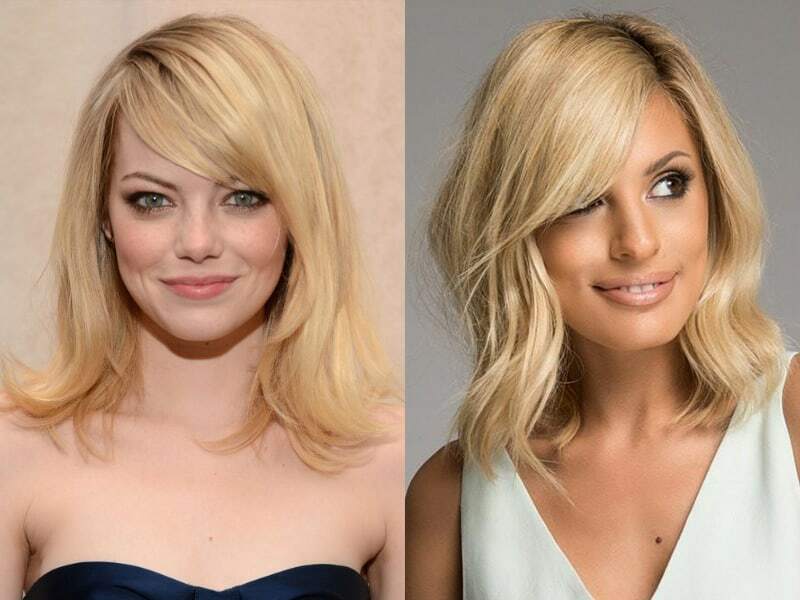 Let’s have a look at some of the best short hair hairstyles! Oval-faced girls will fall in love with this hairstyle! It can cover the edges of the face to make it longer than usual. To become more stylish, you can combine blunt lob with a center part and layers of face framing. This short hairstyle focuses on highlighting one side of the oval face and showing off beautiful edges on the other. In other words, Pixie offers a lovely balance of the face shape by applying asymmetry effects. Significant volume, together with a side part, will make your oval face become the central point of the spotlight! It leaves the hair out of your face to show the elegant rounded features and avoid shortening it. 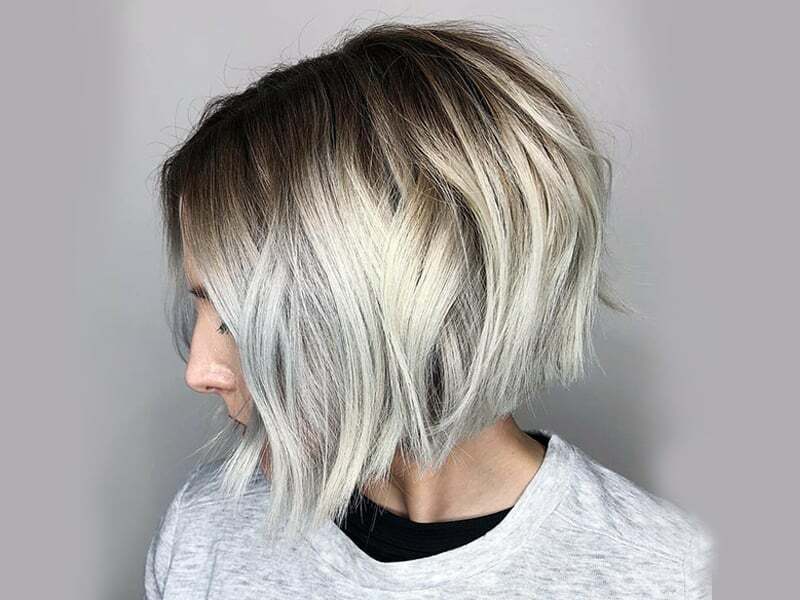 If you are into boldness and adventure, the purposefully tangled look of a shag-inspired cut can become your new statement to the fashion world! The intentionally tousled curls, combined with a side part, promises to give you the wildness and freedom you’re looking for. This medium-length hairstyle is an ideal additional and highlight for short straight hair. The layers embrace the face shape and wind down from the chin. 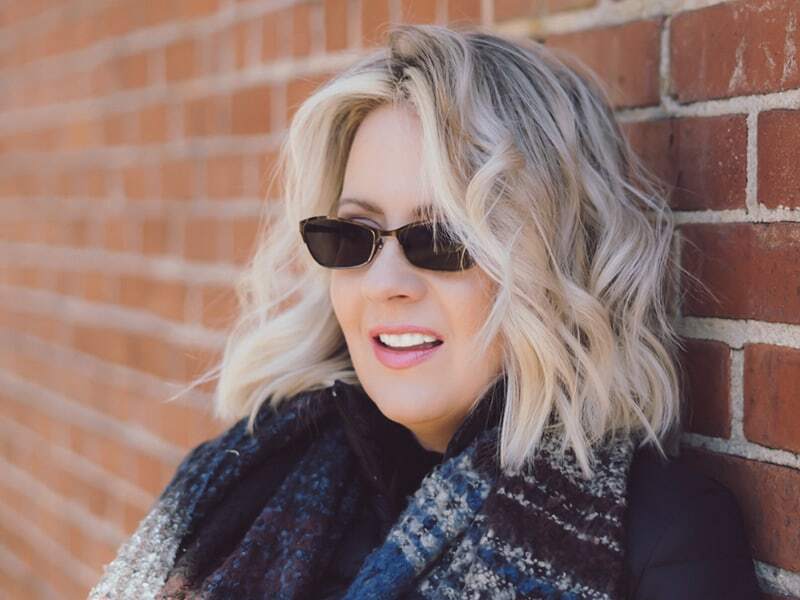 There are lots of styling options that you can experience with the face-framing style such as curling in and flipping out the hair or getting updated updos. Why do we bother hiding our unique and gorgeous facial features? A choppy bob cut is what girls need to achieve a sharp and modern look. These delicate textures in this Bob cut do a great job in creating a fuller and more naughty appearance. Also, keep the styling at a minimum because the hairstyle itself is outstanding enough. Needing an attractive highlight to your daily hairstyle? Then let the best Bob hairdo for oval faces take good care of you! A striking look with subtle layered texturing is what you can expect from a shaggy Bob haircut. Additionally, consider combining a dark ombre color, deep center partition, and soft contrasting ends for irresistible charm. 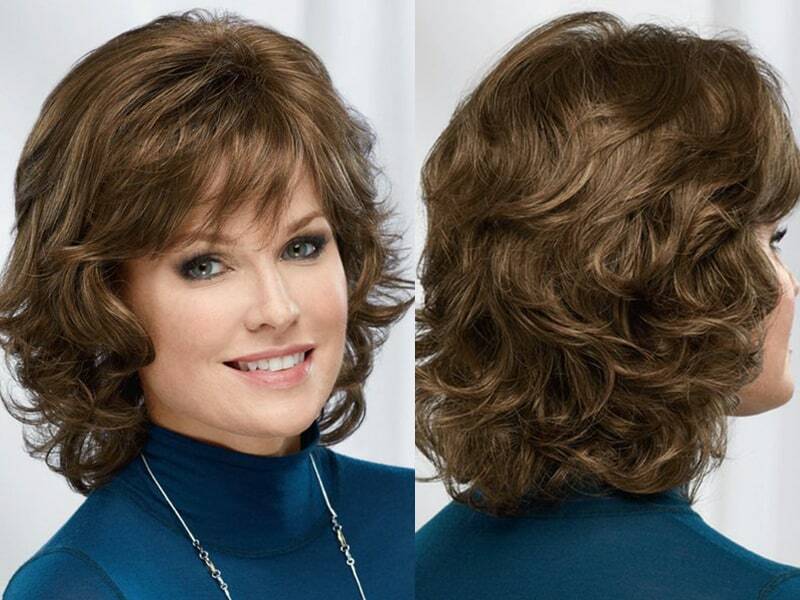 Another impressive Bob hairstyle for oval faces is wavy Bob with lovely curls and incredible texture and volume. To achieve those cute wavy curls at the end, make use of hair rollers or a curling tool on the wet sections of hair. After that, give the hair a final touch with a light spray to hold them in place. You will sweep every onlooker off their feet with this sharp and fashionable-looking side-swept Bob. This hairdo concentrates on creating a sharp cut and extra volume. Besides, style the hair with enhancing mousse for bouncy and luscious hair. This sleek hairstyle is a perfect companion of attractive and retro-styled women. To elevate the look, start with wearing the hair up and secure it with a hairpin. Next, make a braid from the bottom sections of the hair. Then twist the braid into a small bun and hold it together. Finally, hide the ponytail under the long hair to make it appear shorter. Adding bangs to your hairstyle can be an exciting way to refresh and enhance your appearance. Let’s find out which bangs suit hairdo for oval faces best! You can show off your proud forehead and delicate facial features without looking bulky and overwhelming. Also, the choppy ends to add more fun and a soft texture to the hairstyle. This type of bangs is heavier, fuller, and straighter than the full bangs. But it’s perfectly balanced, so you don’t have to worry the bangs will cover all of your faces. Remember to go for the appropriate length – not exceed the eyebrow too much. To soften the heavier look of the bangs, leave two longer pieces of hair on both sides. 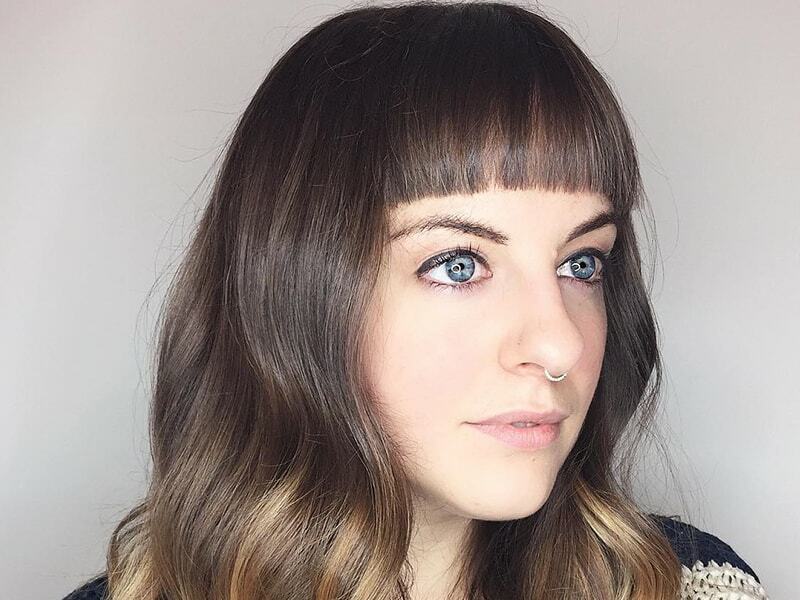 You can wear curtain bangs for almost every type of face shape. The center part and framing layers on both sides of the oval face will no doubt make you the queen of the party! Oval faces are just ideal for short cuts and for playing around with different textures and layers of bangs. All you need to own this style is to create layers after layers of hair and have it cut at mid-forehead. Moreover, styling wax is a useful addition for a sharper look. Curly hair and oval faces? What a great combination! 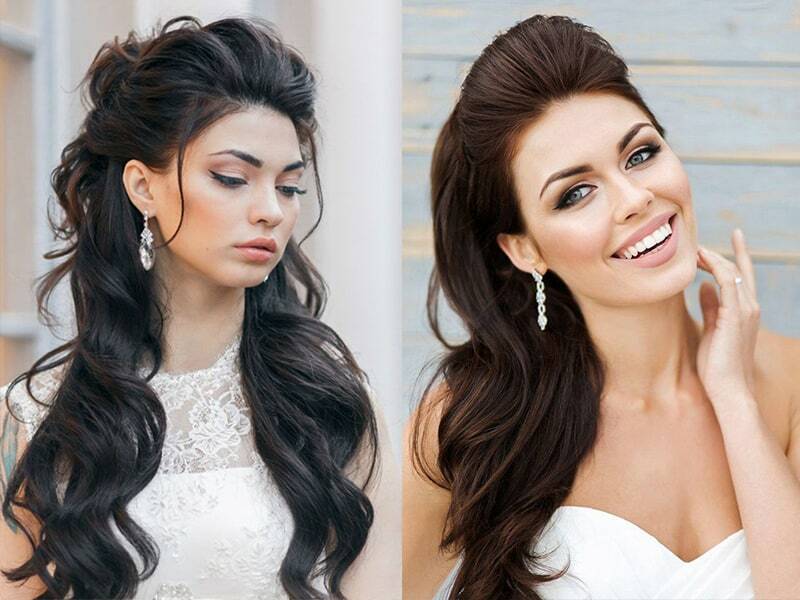 Here are some of the most outstanding and charming hairdo for oval faces with curly hair. 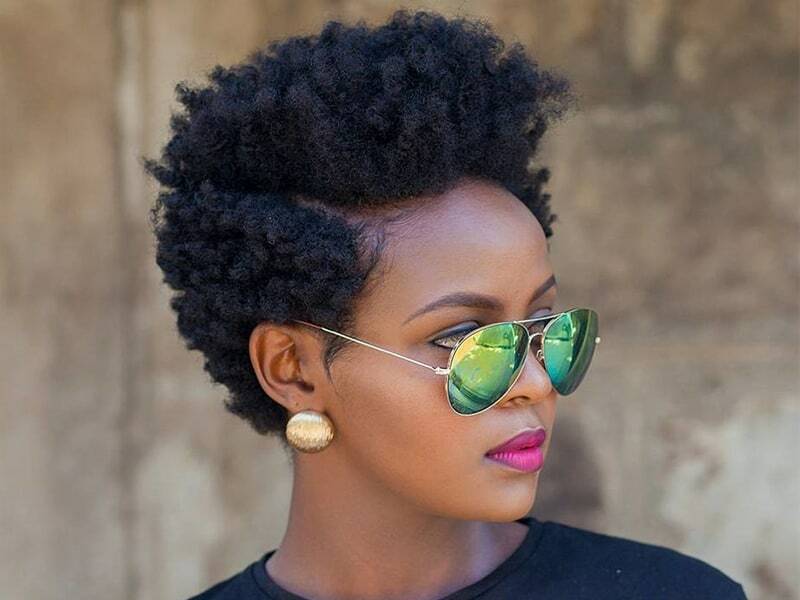 Wait and see how your face shines with this incredible short haircut with natural and soft curls. The locks bounce from your face stylishly and brilliantly while holding the short hair sections in place. Come back to Hollywood classic-styled with this hairdo. 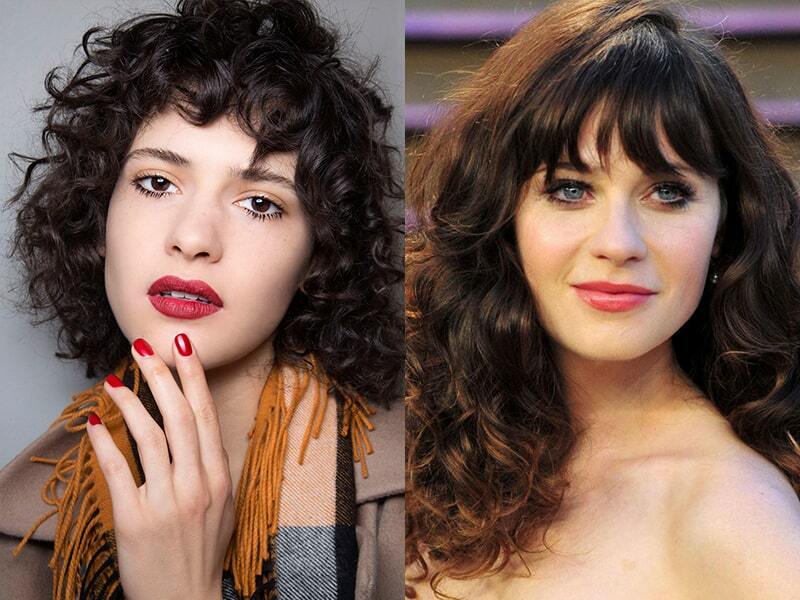 The big curls combined with dreamlike wavy bangs is just the winner for everyone. Besides, the curls add more volume to the hair and create a slimmer and slender face look. Notice that the bangs are a little bit tangled, purposefully cover the forehead from view and hide its length. 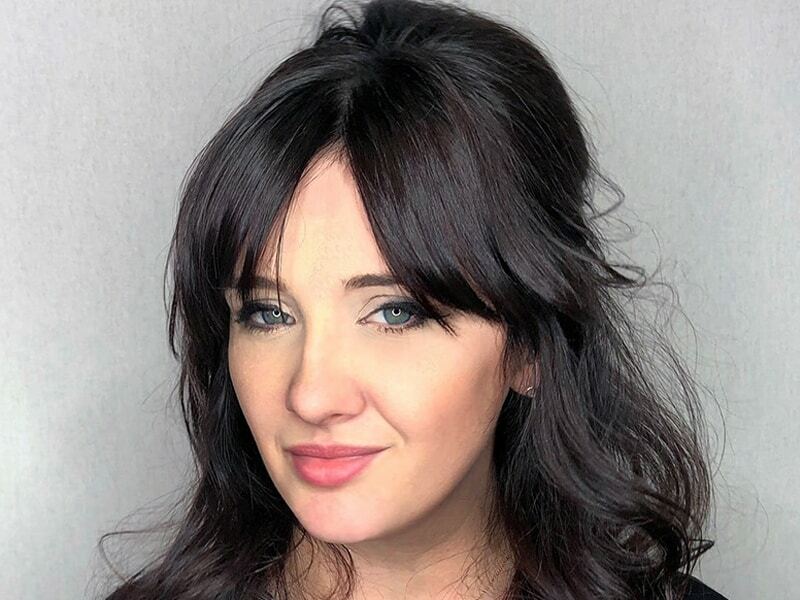 A side-swept bang, especially the deep side part, is a perfect “sidekick” of curly hair. The effect of lively and bouncing hair is undeniable. Moreover, the hairdo stops right above the shoulder for a delicate and elegant appearance. You can be a supermodel on the runway or a present-day queen with this detailed list of hairdo for oval faces. Don’t hesitate to leave a comment below our post and tell us what you think! Don’t forget to visit our LaylaHair’s website for more hairstyle suggestions and hair extension products!